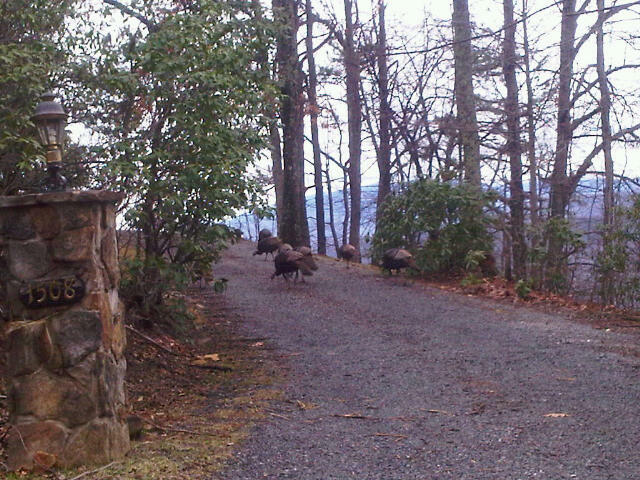 We started up Garrett Lane today headed for The Foxtrot Bed and Breakfast in Gatlinburg, when, what do we see–a flock of wild turkeys. 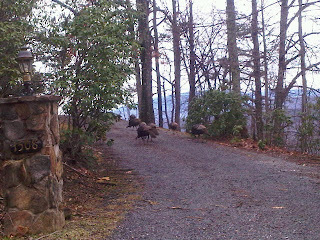 And, of course, the closer that we tried to get to them; the further away they walked. They look really well fed; so, someone must have been feeding them over the winter. Our one consolation in the experience was they were in our neighbor’s driveway, and we didn’t have to wait for them to cross the street then decide to walk back to where they began. No one ever said turkeys had large brains.